After a careful assessment of the clinical condition of the patient, our physicians & supervisors assign the most suitable the nurse matching their needs. They will look after medication administration and equipment needed for treatment and service. The nurses work under the guidance of the treating physicians and provide care, education and support to the patients and their families with routine review sessions on progress and treatment of the patients. Health Serve’s trained and skilled nurses follow a stringent recruitment process for this program. In house training programs include refresher courses, finishing school courses, grooming and communication training. 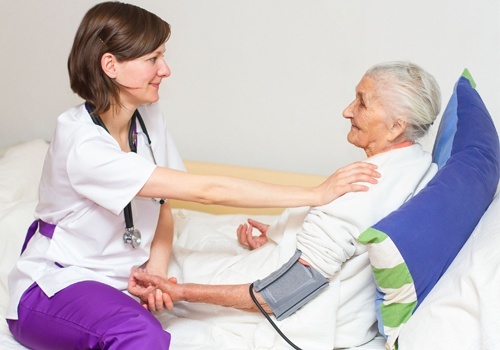 Skilled nursing assessment and evaluations including measurement & monitoring of vital Signs – BP, Temperature, Respiratory Rate, Heart Rate, Blood Sugar Level, Oxygen Saturation etc. Medication management (IV/ORAL)- administration and infusion therapies. Nutrition Management: Oral and Tube Feedings (NGT, OF, PEG) Diet modification based on patient requirements or needs.